Pattaya’s Friendship Supermarket offers a wide range of quality products at reasonable prices. 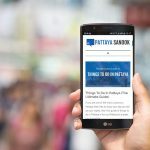 This is a popular grocery store for those in the South Pattaya area, as well as Pattaya expats and visitors looking to find a good selection of Asian and Western foods at decent prices. The Friendship Supermarket has all the standard grocery items you maybe looking for. There are sections for produce, fresh meats, cool and frozen items, alcohol, and plenty of boxed goods. They also cary a variety of Chinese, Thai, and Western items. The Friendship Supermarket is one of those places you can pass by hundreds of times and not every really know it’s there. From the outside, it’s Chinese architecture design and pastel green paint make it look more like a temple than a grocery store. Even the sign out front looks more like a business or temple than that of a grocery shop. It is a favorite grocery store for a lot of European and American expats and tourist thanks in part to being able to find a nice selection of products from home. Though there are more European groceries in Pattaya than American. You can even find Budweiser there if you are dying for a taste of an American beer – not that you would with all the great Thai beers available. 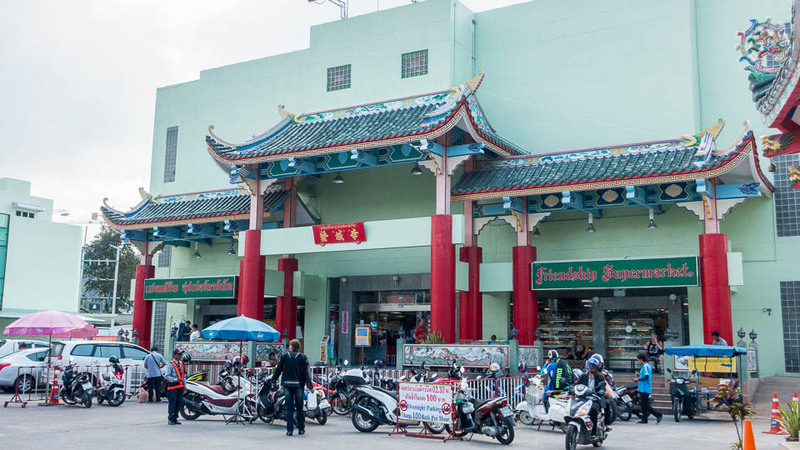 If you are driving, the Friendship Supermarket offers a large parking area that you don’t often find at the other grocery stores and hypermarkets in Pattaya. 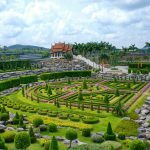 It is also conveniently located on South Pattaya Road, just a little past the junction with Soi Buakhao (slightly east). This makes it easy to get to by baht bus or taxi. There is not much else to say about the Friendship Supermarket. It is well worth checking out for your grocery shopping needs if you are in South or Central Pattaya. Have a look and tell us what you think. dear sir/madam. I was shopping today the 13/06/2017 for less than 45 minutes upon leaving I vas asked to pay Bath20.00 for overstay I refused and was punched in my stomach by one of two parking officials this now have made me think I will not shop here again and I will tell my friends about this treatment and I belive you will lose a lot of customers if you do not do anything about it. Thanks for sharing your unpleasant experience. However I run a travel website and have no affiliation with the grocery store, and I doubt they are reading the comments. I’m a customer for more than 15 years and it’s the first time in my live that I have to pay 20 baths for the parking of my motorbike because I shop more than ONE hour.!! For information I spend about 2500 baths every week.!! I’ll NEVER GO BACK TO ANY FRIEND-SHIP…..!!!!!!!!!!! The motorbike guardians are the most unpolited persons I ever had meet – today an guardian nearly attacked me because I ask him to wait for the parking ticket until a leave the parking area. After shopping I came to the parking area with hands full of goods – the guardian approeched me just before the entrance to the parking area asking for the parking ticket I told I will give when I leave the parking area. However he follow me all the to my motorbike repatly asking for the parking ticket I still have hands full and told him again I will give him when I leave area. 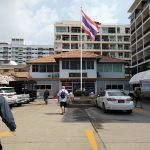 He then start to be very unpolited and offending and stand so could not move my motorbike and put a hand almost into my face – I then decided to give him the parking ticket in order to avoid a confrontation which I 99% will loose as I am a Farang. However I have been a regulary customer in Friendship for more than 5 years it also not first time problems with the parking guardian but it is 100% last time as shall never put my feet in Frienship anymore. Welcome to the land of smile.